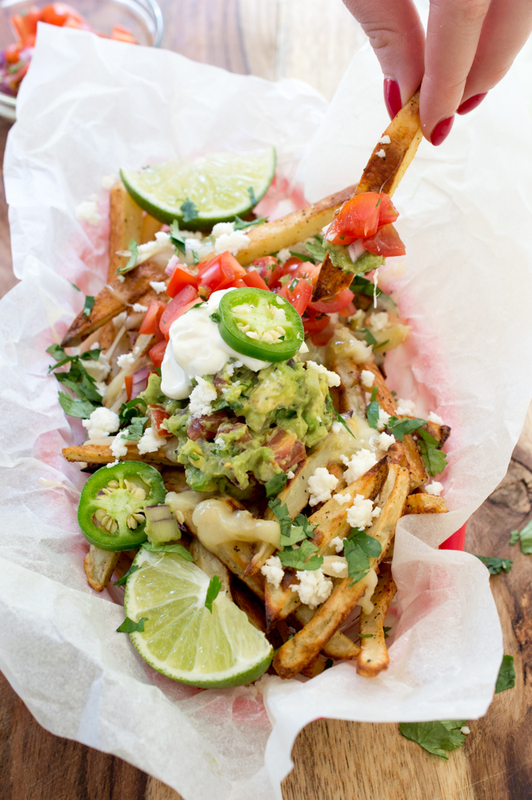 Loaded Mexican Fries Plus 15 Cinco De Mayo Recipes. Just in time for Cinco De Mayo! I’ve got the perfect appetizer for Cinco De Mayo. 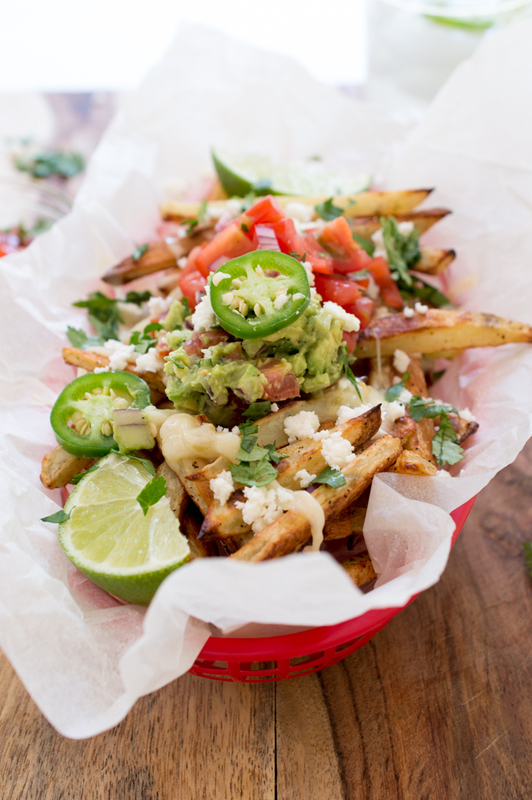 Crispy homemade baked french fries topped with all of the Mexican toppings you can handle. It all get’s drizzled with a homemade queso blanco. I baked the french fries to keep them nice and crispy and to save on some of the calories. 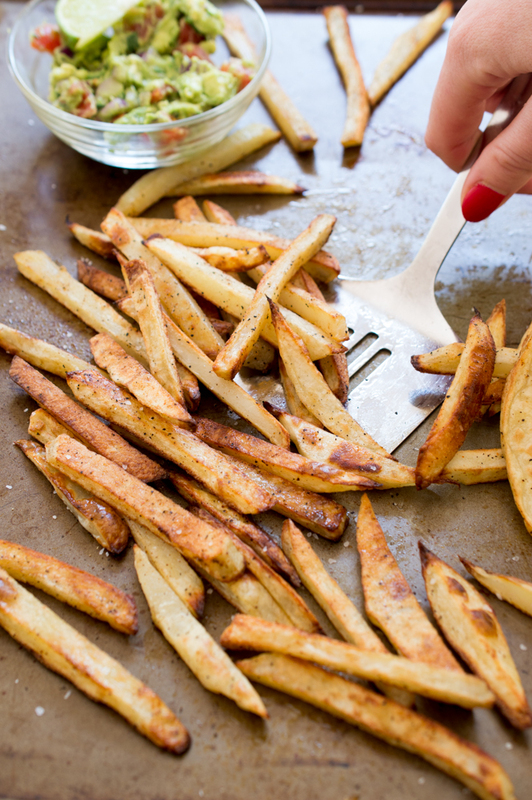 For the fries just toss with some olive oil, seasonings and bake. I topped these loaded Mexican Fries with my Healthy Greek Yogurt Guacamole and Homemade Salsa. Now let’s talk about the queso. It’s thick and creamy with a bit of spice. I cubed up some monterey jack cheese and added it to a saucepan with green chilies, cream cheese and a splash of milk. It’s super easy and crazy good. 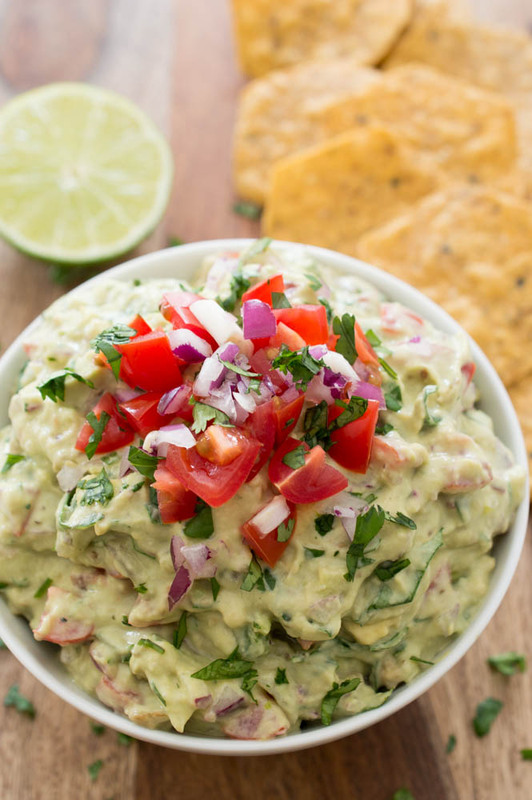 Serve this as an appetizer or side dish for Cinco De Mayo! 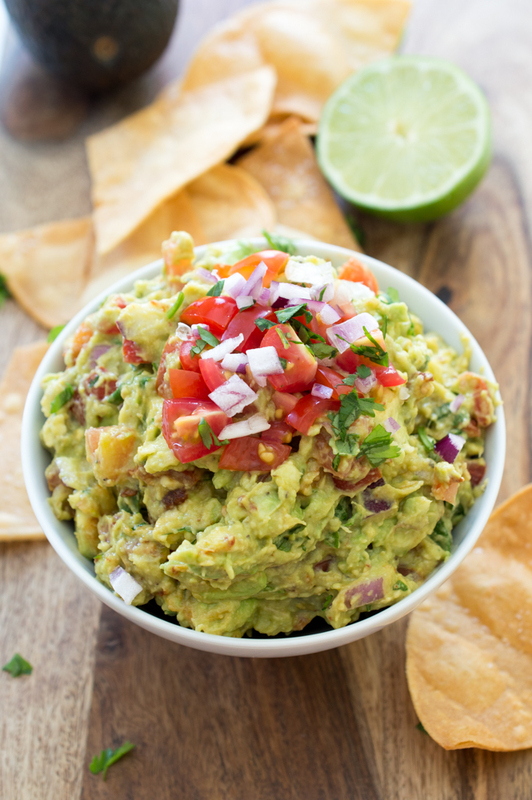 Don’t forget to check out my 15 Cinco De Mayo recipes below. Layer baked french fries on a large plate. Top with queso first and then the rest of the topping. Serve immediately while the fries and queso are still hot. Add all of the ingredients to a small saucepan. Cook on low heat whisking constantly until creamy and smooth. Below is a list of 15 Cinco De Mayo Recipes. It includes everything from cocktails to main courses to appetizers. Enjoy! 1. 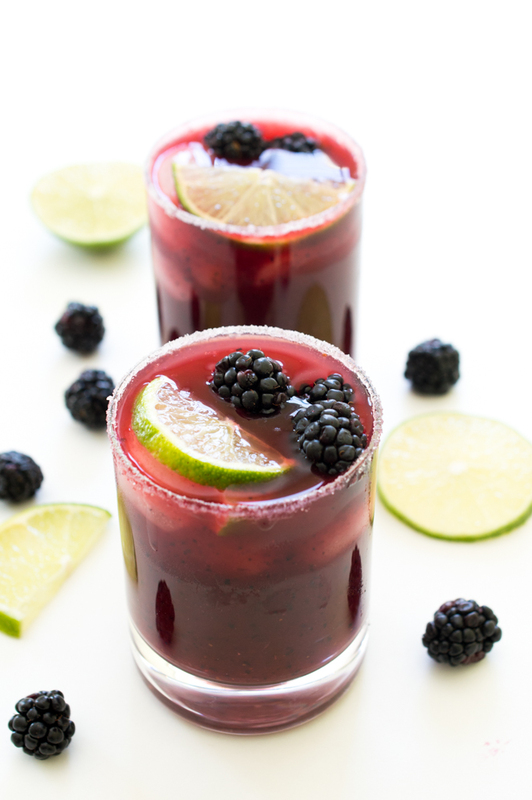 Mixed Berry Margarita: Loaded with fresh blueberries, cherries and blackberries. A fun twist on the original! 2. 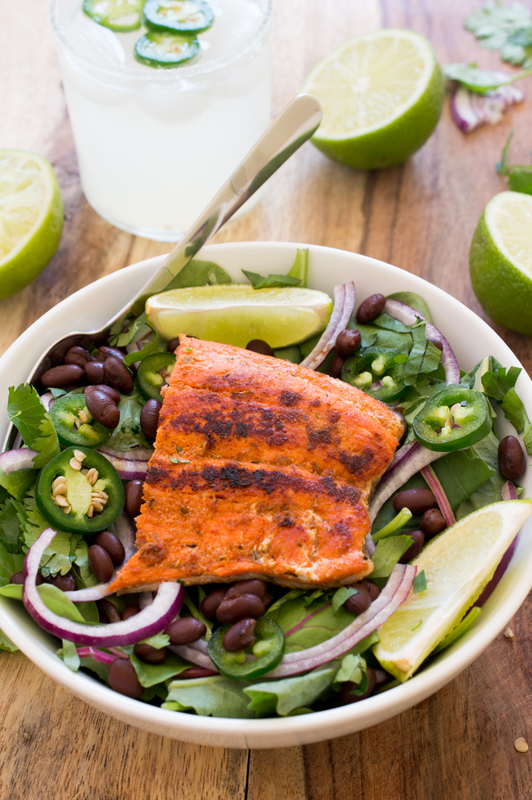 Mexican Salmon Salad: Mexican Salmon Salad with a Creamy Cilantro Lime Dressing. Full of flavor and ready in less than 20 minutes! Perfect for busy weeknights. 3. 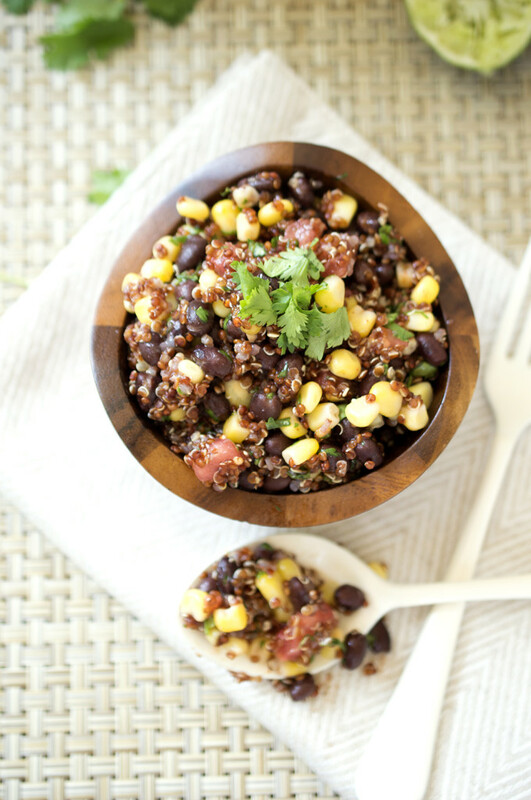 Tomato and Black Bean Quinoa Salad: A light and healthy corn, tomato, and black bean quinoa salad. This recipe takes less than 30 minutes to make and is both vegan and gluten free. 4. 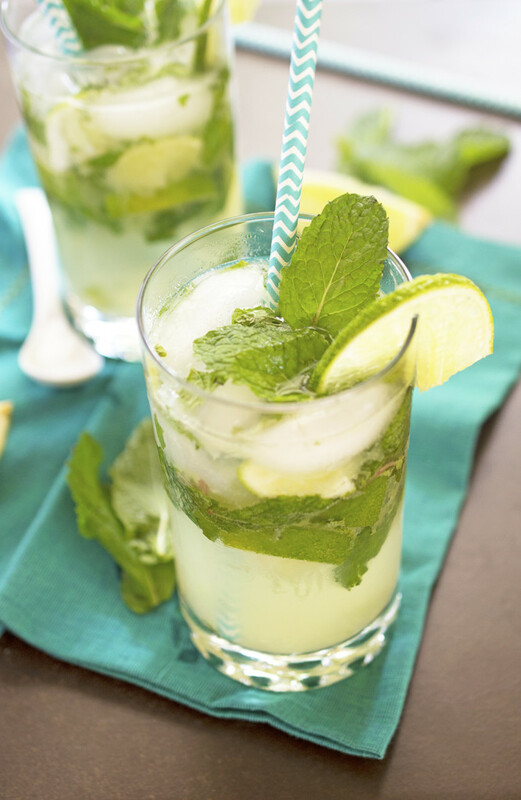 Classic Mint Mojito: Made with fresh squeezed limes, mint leaves and rum. Refreshing drink for a hot summer night! 5. 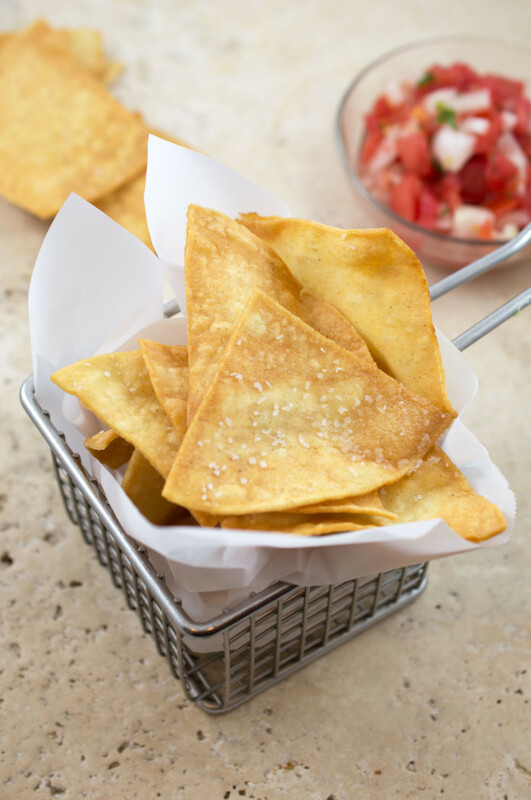 Homemade Tortilla Chips: So much better than store bought and super easy to make. 6. 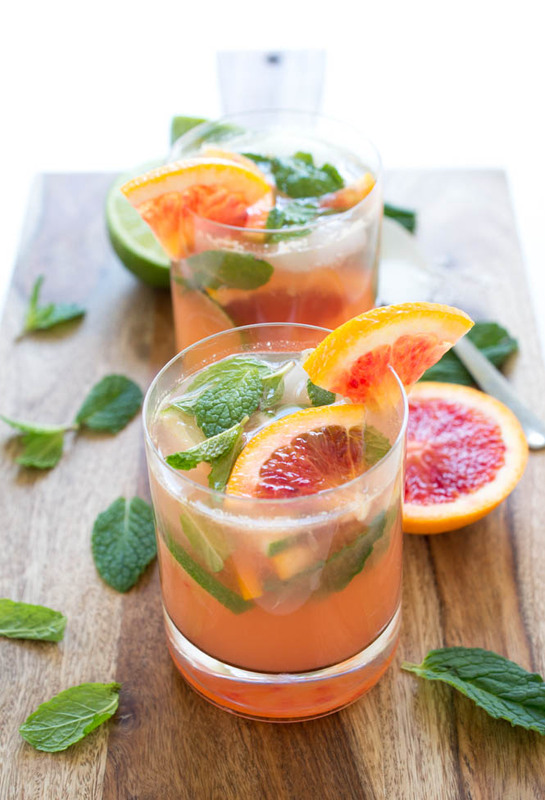 Blood Orange Mojito: Made with fresh mint, simple syrup, blood orange and lime juice. The perfect cocktail for any occasion! 7. 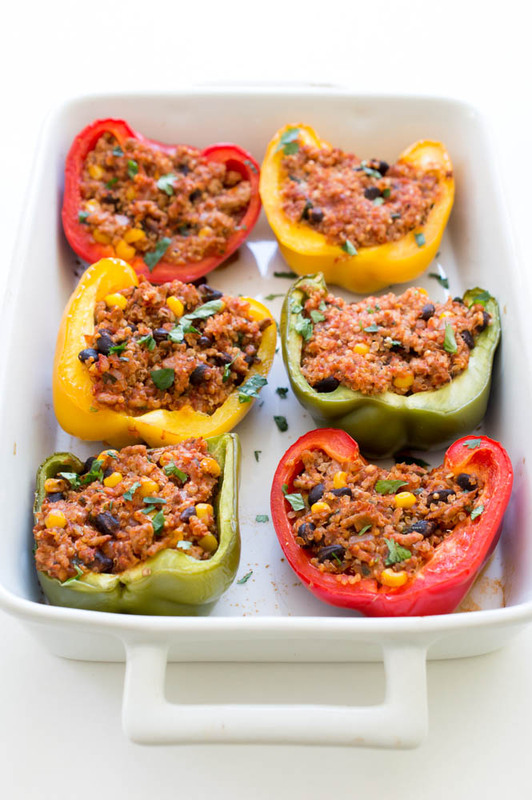 Healthy Mexican Quinoa and Turkey Stuffed Peppers: Tri-color peppers stuffed with tons of filling. 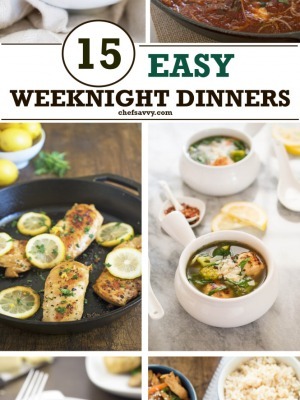 A quick, easy and healthy weeknight meal! 8. 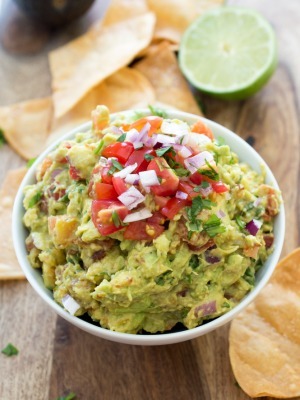 Spicy Chipotle Guacamole: Smokey, spicy and loaded with flavor. Perfect as a snack or appetizer! Just in time for Cinco De Mayo! 9. 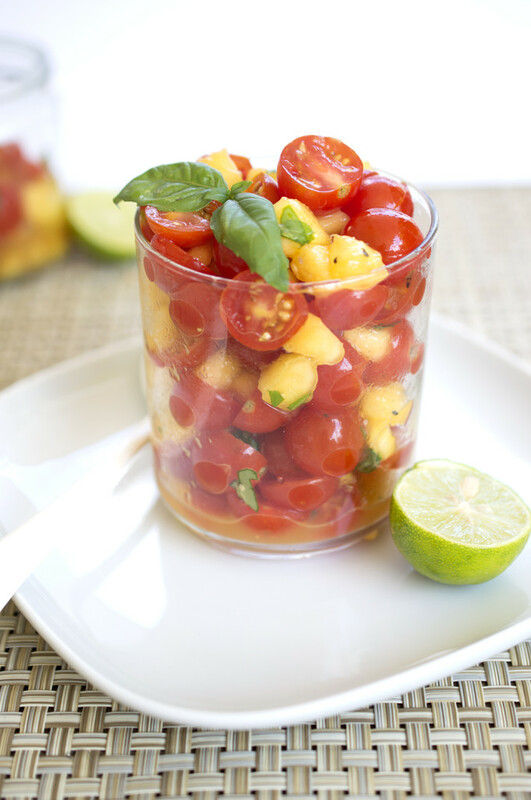 Cherry Tomato Peach Salsa: Sweet and spicy cherry tomato peach salsa made with fresh basil, serrano peppers, tomatoes and peaches! 10. 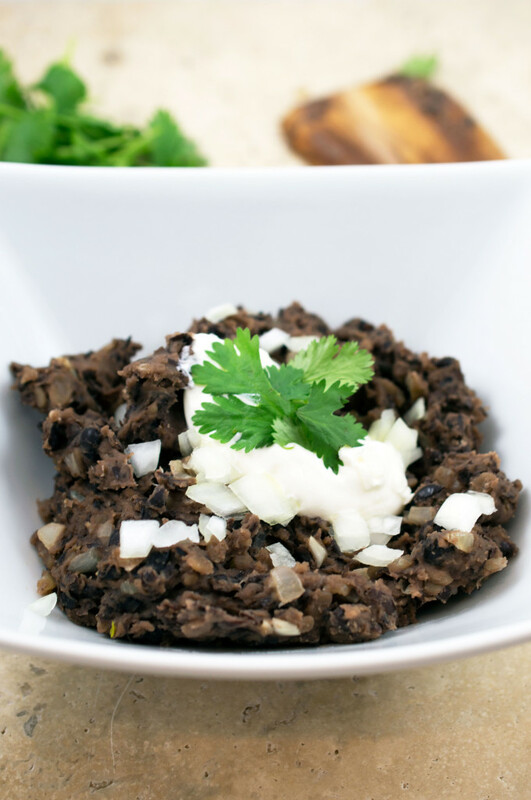 Refried Black Beans: Super Easy to make and so much better than store bought. Wonderful as a side dish! 11. 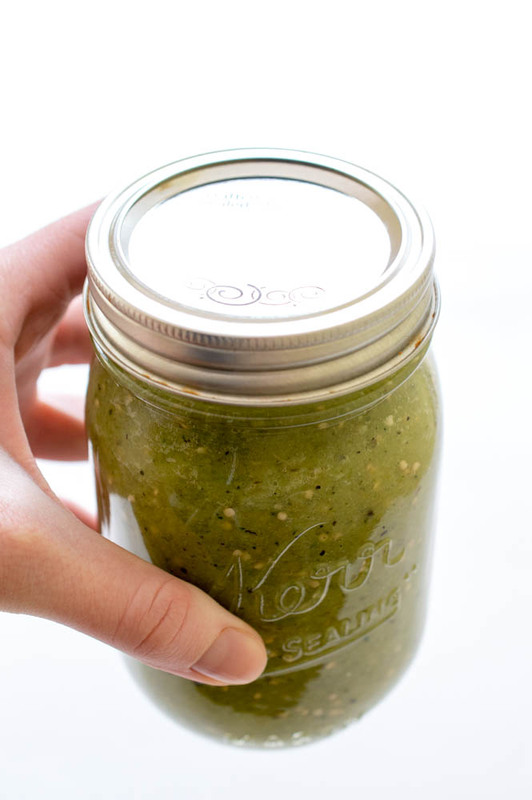 Super Easy Salsa Verde: Pan roasted for extra flavor and pureed with garlic, jalapeno, cilantro and lime juice. Only 7 ingredients! 12. 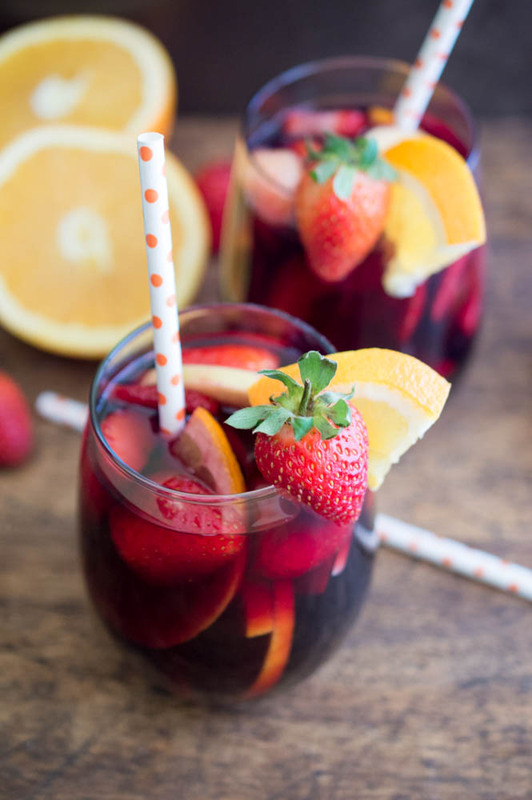 Red Wine Sangria: Made with fresh fruit, red wine, brandy and pomegranate juice. Perfect Fall or Winter cocktail. 13. 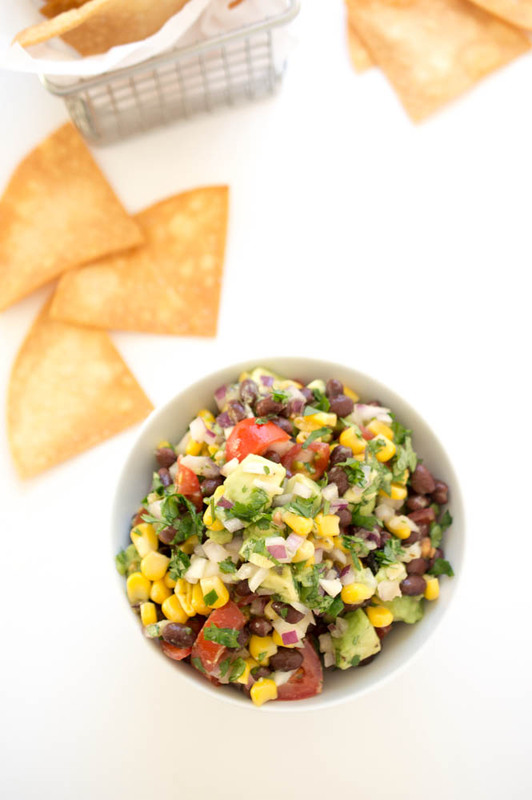 Avocado Corn and Black Bean Salsa: Perfect as an appetizer or snack! Serve at your next party with homemade tortilla chips! 14. 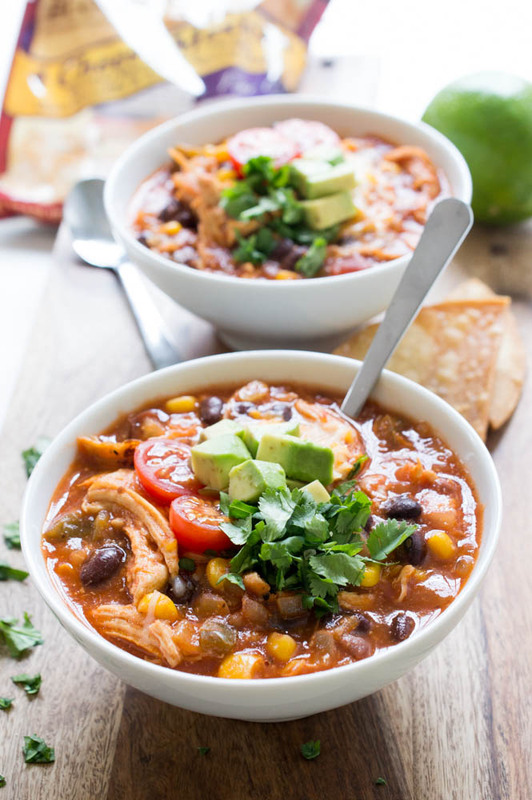 Cheesy Chicken Enchilada Soup: Super Cheesy Chicken Enchilada Soup with Couscous. An easy weeknight dinner the whole family will love! 15. Healthy Greek Yogurt Guacamole: Takes less than 10 minutes to make and is the perfect appetizer or snack. These fries sound perfect! 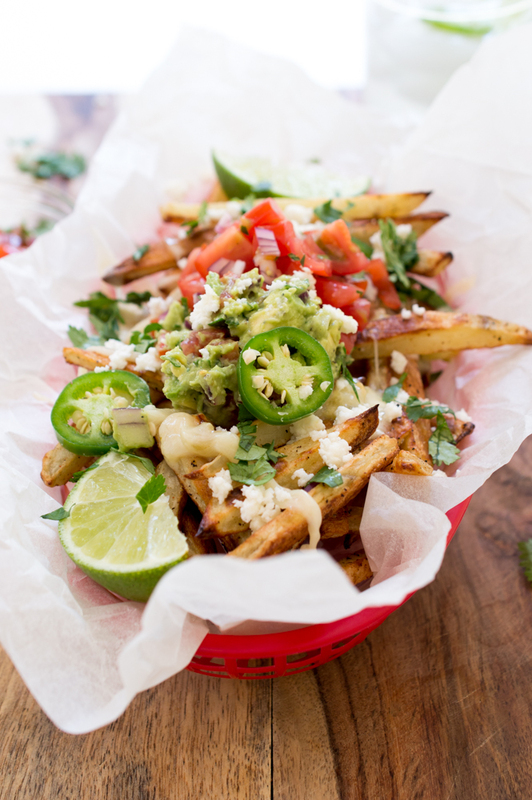 Fries are my weakness, and even more so with these Mexican flavours on them. I’m pretty sure these are the ULTIMATE in loaded fries!! The fries look so delicious! Great recipe ideas, too! I’ve been looking for those red baskets like you have in your pics. Found one at one store, but there was 6 in a package. I just want 1! 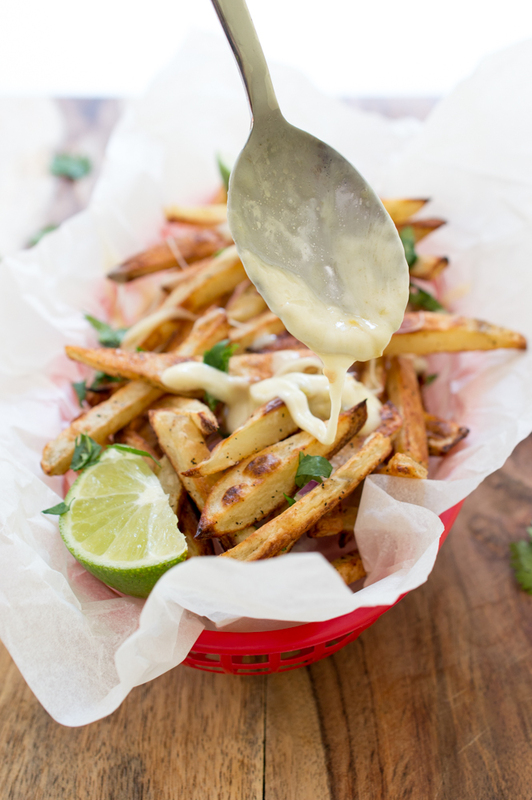 Is that cotija cheese on top of the fries? These fries look awesome. I had to buy 6 too. A bit of a pain. I got them on Ebay though and they were pretty inexpensive maybe 5.00. And yes that is cojita cheese. The best!